With your growing business needs you need to be able to keep up with those ever growing demands. Getting work done quickly and efficiently is most important for any business. 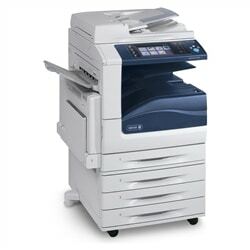 By using the Xerox WorkCentre 7525 MFP, you will be able to get tasks done without worrying about missing any deadlines. Business growth and deadlines are important to keep ahead of, you should have a MFP that can handle your copy, print, scan and fax requirements. Along with those tools there are security features that are in place with this MFP to safeguard all of your business files.